When Barb opened up the site Stagedhomes.com there was no educational site in the world exclusively for Home Staging. Therefore, StagedHomes.com was the very first Staging Educational website in the world and is the Internationally recognized world-wide today as the leader in the Home Staging Industry. Barb knew when she built Stagedhomes.com that the public needed to be educated on what Home Staging is, she knew that Home Stagers needed to be trained, certified, designated, and accredited, Barb knew then that the public would want a directory to find the right Stager or Agent for them, she knew that people would want to find Staged Homes to buy, and that in addition to training Home Stagers and RE Agents they would need materials to use on a regular basis with their clients and she knew that a Home Staging Association would be crucial to set more standards to continue to raise the bar on the Home Staging industry she created. The Public Educational Section to educate the public on What Home Staging Is and What ASP® Stagers Really Do to set the scene and Stage® the house to sell so that the Seller receives top dollar for their home in the quickest amount of time. The Home Staging Training Section – All education is listed with the information about each course of what people will learn. The locations and dates are shown so that those interested in studying by live in-the-classroom classes or by webinars can find the best way and location to attend. The ASP® Courses and ASP® Designations are earned by Home Stagers or by Real Estate students in the different classes that are offered. The ASP® Designation is the highest Staging Designation in the world and stands above all of the rest in reputation creditability. Please read below about The ASP® Courses and ASP® Designations. The Stagedhomes.com ASP®and ASPM® Home Staging Directory where the public finds ASP® Home Stagers to Stage® their homes and ASP® Real Estate Agents to list and sell their homes. Here it is so easy to find the right ASP® Professional to serve your needs as a seller. ASP® and ASPM® Master Categories are shown and the public can select the area of the country and the category of the professional that they are looking for easily. The Stagedhomes.com ‘Staged Homes For Sale’ Portal which shows ASP® Staged Homes that are currently active for sale or sold as well. Here is where ASP® Home Stagers and ASP® Real Estate Agents post the homes that are Staged and listed for sale. Homes Sell all of the time from the Staged Homes Portal of Stagedhomes.com. By Staging with an ASP® you receive this service as a seller at no extra service fee to you. Go to Stagedhomes.com today and find the Staged Home that is right for you! The Staging University®. Barb has developed through her 44 years of experience as The Creator of Home Staging® and as a RE Broker countless forms, marketing materials, materials to use with the sellers in Staging or listing their home, thousands of before and after pictures, she has had legal firms develop legal forms for the ASP®s, pricing information, business systems for ASP®’s to use and much, much more. When she opened Stagedhomes.com® she said that she would open a Staging University® on line too where all of the information, forms, systems, marketing materials, examples and more could be placed so that ASP®’s did not have to reinvent the wheel. Therefore as ASP®’s graduate they are granted access to the priceless Staging University® for as long as they are an active, renewed, in good standing, ASP®. The Staging University® is updated and cutting edge on a continuing bases with hundreds of pages for ASP®’s to use in their business. The International Association of Home Staging Professionals®, IAHSP.com – Barb’s large vision imagined a world Home Staging Organization for ASP® Home Staging Professionals® so that they could be an important part of an organization that reaches around the world to bring Professional Stagers all together for sharing education, networking, improving the industry standards continually and to make the Staging Word better for all concerned. As a Crucial part of IAHSP® Barb also created the IAHSP® Foundation to give back to others. And as an important part of that she created ‘The World Wide Staging Service Week®, WWSSW®. 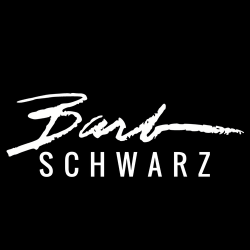 WWSSW® is dear to Barb’s heart for all of the giving of Stagers talents and Staging Experience that each can give and do each year from September 12th-19th in serving their communities. Through the magic of donating Home Staging change thousands of lives as they give their talents to Organizations, individual homes, projects, children hospitals, women’s shelters and many, many community members in need. Stagedhomes.com® is based upon Barb Schwarz over 44 years of experience and leadership through her Creation and Invention of Home Staging, her RE selling experiences, her own Staging Experiences as she created the concepts of what works and what does not work, and her cutting edge innovation and idea. Stagedhomes.com® is THE resource to the Home Staging industry and sets the bar of excellence in the Home Staging world. As The Creator of Home Staging® Barb developed the Accredited Staging Professional, ASP/ASPM® Courses and Designations. The ASP® designation is the premier Home Staging Designation in the Home Staging and Real Estate Industries. StagedHomes.com trains Real Estate agents, as they earn the ASP® Real Estate Designation, how to educate sellers on the benefits of Home Staging, how to price and market Staged Homes, Listing Presentation skills, and how to work with an ASP® Home Stager as well as Home Staging tips and ideas. Home Stagers earn the ASP® Stager Designation and learn in great detail how to open, market, run, and build a Home Staging Business. There are many, many parts to setting up, marketing, building, and growing a Home Staging Business of course. ASP® Home Stagers as they graduate from the ASP® Home Stager Course will tell anyone they meet that they wish that they had taken the ASP® Home Stager Course before they ever opened their business. This is because the ASP® Stager Course is built upon Barb’s 44 years of inventive ideas, experiences, methods for Staging, how to avoid mistakes, how to educate clients and agents, how to communicate to have the seller Stage® and do what the ASP® Stager recommends, how to Stage®, how to market, step by step how to open, build and grow a Home Staging business and much more. StagedHomes.com® trains real estate agents in a 2 day ASP® Course and Home Stagers in a 3 day extensive ASP® Home Staging Course. The ASP® Courses are currently taught across the United States, Canada and around the world! The Masters, ASPM®, Course Barb developed and wrote as an additional 5 day Staging Training Course for ASP®’s to become ASPM® Masters as well. The Masters Course is ‘hands on’ learning with the instructor so that the instructor can give feedback, give personal input and positive critique to each ASP® based on their performance in the Masters ASPM® Course. The ASP® and ASPM® Designations are the most respected, accredited, awarded, and internationally known Home Staging Designations in the world. The Staging University®. Barb created and has developed, through her 44 years of experience as The Creator of Home Staging® and as a RE Broker, countless forms, marketing materials, materials to use with the sellers in Staging or listing their home, thousands of before and after pictures, she has had legal firms develop legal forms for the ASP®s to use in their agreements with their clients,, pricing information, business systems for ASP®’s to use and much, much more. When she opened Stagedhomes.com® she said saw the need to open a Staging University® on line too where all of the information, forms, systems, marketing materials, examples and more could be placed so that ASP®’s did not have to reinvent the wheel. Therefore as ASP®’s graduate they are granted access to the priceless Staging University® for as long as they are an active, renewed, and an ‘in good standing’ ASP®. The Staging University® is constantly updated and is always cutting edge on a continuing bases with hundreds of pages for ASP®’s to use in their business.